Bring your ideas to life in all their messy glory. Paper’s perfectly-tuned tools make it easy to sketch, type, paint, draw — wherever your thoughts take you. Wave goodbye to distracting menus and let natural gestures guide you, keeping you in your creative flow. Paper snaps rough sketches into shape, from straight edges to perfect circles. Use one of our templates to set things up or simply see where a blank page takes you. At work, at home, on the go — wherever and however you get your ideas, it’s never been easier to put them on paper. 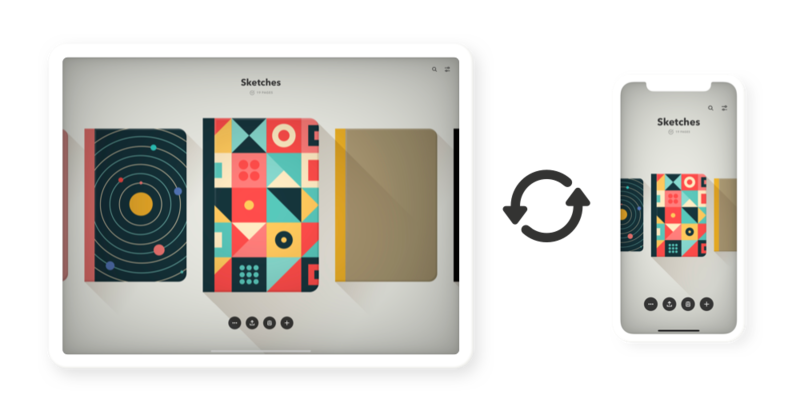 Organize pages into beautiful journals and sync them across your devices, ready to pick up where you left off.